After receiving a $5 million grant through the Federal Government’s Next Generation Manufacturing Investment Programme, Australia’s largest air conditioning manufacturer Seeley International announced that it will go ahead with its development and expansion plans. Now, the company will focus on the development of a next-generation evaporative cooler and increase operations at its Lonsdale-based factory in South Australia. 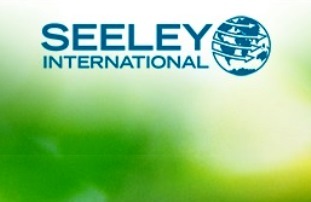 “Seeley International’s unwavering commitment to innovation allows us to have a project pipeline in place for over-the horizon technologies, and that approach is what ensures we remain the global market leader for advanced heating and cooling products,” said Seeley International Founder and Executive Chairman, Mr Frank Seeley AM FAICD. Mr Seeley said the company will use the money to construct a $10 million high-volume Climate Wizard / Coolerado heat exchanger and cooler production facility at its Lonsdale factory. As a result, 125 displaced manufacturing and car industry workers will get a job opportunity with the company. “At a time when South Australia is faced with the worst unemployment levels in the nation, and a constant stream of headlines about jobs being lost and more workers being made redundant, this is the perfect opportunity to show local manufacturers that all is not lost, and give workers an opportunity to transition their skills into new and emerging manufacturing opportunities,” Mr Seeley said. About two months ago, Seeley International acquired Denver’s Coolerado Corp., the manufacturer of a highly energy efficient, indirect air conditioning unit, in a bid to boost its North American operations. “Both Climate Wizard and Coolerado offer energy efficiencies that are simply second to none, and developing domestic versions will be nothing short of a major industry game-changer. The expected demand from the marketplace for these products will secure jobs and further grow our workforce throughout the coming years, and for every direct job that is created, there will be a multiplier effect for other local jobs,” concluded Mr Seeley.